Research shows that in-store marketing is an effective way to influence consumers’ purchase decisions. According to a research carried out by Nielsen in Swedish grocery stores, the sales of a beer brand increased by +22% with the help of EuroWell pallet wraps. Emerson Ten is the representative of EuroWell products in Finland. We are able to provide you pallet wraps, shelftalkers as well as streamer stickers. Mark your presence! Shelftalkers improve your product’s and product group’s findability in among the wealth of products. 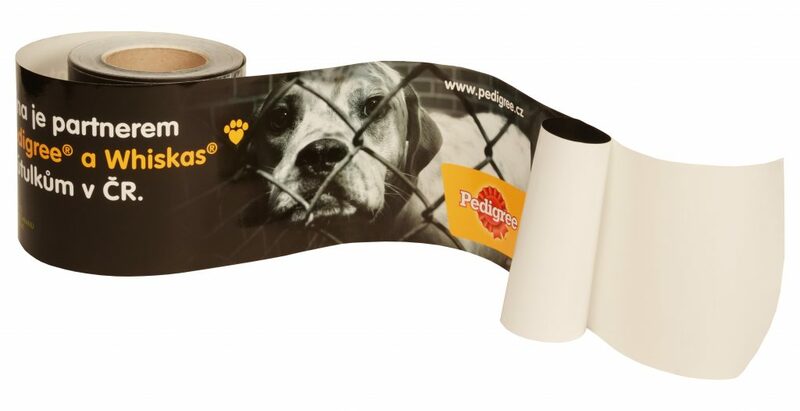 Pallet wraps will make sure your campaign and product are noticed in-store. The pallet wrap is installed around pallets, product stands or shelves, in which case your product is provided exposure and visibility in an entirely new way. Streamer stickers are used on windows, coolers, fridges and walls. The label is as easy to attach and remove as a Post-It note, and it does not leave any residue on the surfaces.